Yamaha Corporation's mobile mini keyboards "reface" have received the Red Dot Award: Product Design 2016, a prestigious German design award hosted by the Design Zentrum Nordrhein Westfalen (official site: http://www.red-dot.org/). After selection for the 2015 Good Design Award Best 100, this is the second major design award received by "reface." In creating these new designs, the original keyboard designs have been used as motifs to form the basis for the exterior appearance. By offering a familiar appearance in a modern-style arrangement and simple player interfaces designed separately for each instrument, these keyboards, even though compact, provide a presence and feeling of top quality. With the "reface" keyboards, setup anywhere is quick and easy, and musicians can realize creativity anywhere. 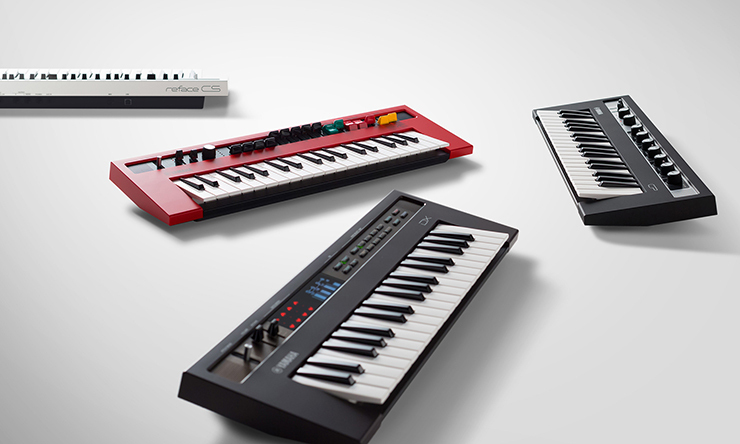 The "reface" compact keyboards have the four core aspects that are fundamental principles for all of Yamaha's designs: products that customers will use frequently for a long time, a gradual increase in value, a fundamentally simple design, and a balance between carefully selected materials and a beautiful finish. It just makes people happy to have it close to them all the time. As they touch it, they feel they could become completely absorbed in playing it. I designed it so that the pleasure of music making could be condensed into this compact size and made the design so attractive that users would want to touch it. It gives them a renewed awareness of the refreshing appeal of previous instruments, and, through its timeless value, I want everyone to experience the joy of playing sounds that are just theirs alone. The Red Dot Design Award(http://en.red-dot.org/) is one of the most highly respected design awards in the world, and comprise three categories: Product Design, Communication Design, and Design Concept. Each year, top-quality designs from around the world are selected for these awards. A total of 5,214 products from 57 countries were entered this year. This latest win brings Yamaha's total number of Red Dot Design Awards to 17 after receiving the honor for a total of 16 times since 1997.